Right from the start my lips feels strange and when I get down to first line “e” the sound get’s weaker, and two steps further the low “c”, hardly speaks at all…. …not a chance, the notes just won’t come out! This, ladies and gentlemen, is one way stiff lips can interfere with your ambition to have a productive and fun practice day. This is not the most effective tip on this page but it does work to some degree, does not require any equipment and is easy to do…. …hence it must be on the list! What is lip flapping in the first place? 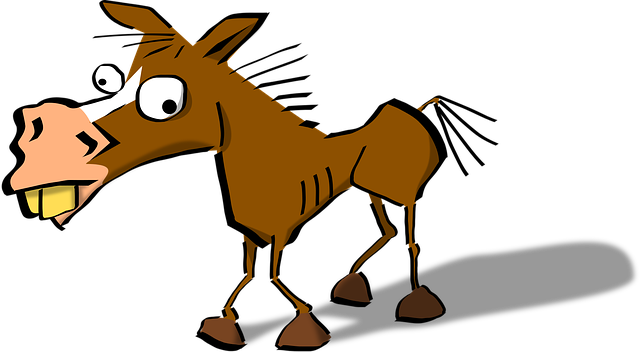 …imagine a horse snort and you can’t go wrong! Ok so lip flapping is good but why sing a note while I’m flapping? When singing a note at the same time you are flapping your lips the relaxing / massaging flap movements becomes more focused to the center of the lips and this is the part that needs to loosen up. In fact when we talk about stiff lips when playing the trumpet, 90% of the time it is the center of our embouchure that are messed up. Good, now do this for 5-10 minutes at a time at least three times a day. The most important time is at the end of your practice session because your future “tomorrow self” will thank you for it. This is the fastest and most effective way to cure your unresponsive chops. If you regularly have problems with stiff lips then do yourself a big favor and invest in a decent didgeridoo. Personally I was a bit irritated and confused how a a straight tube can be so pricey but that was before I found this one on Amazon. It is a primitive and lovely instrument than can be a true lifesaver for brass players suffering from stiffness. Play for five minutes at a time and sprinkle it out throughout the day and your lips are guaranteed to feel better the next day. …ahh, then I would put in an intense didgeridoo session before that. 5 minutes on and 5 minutes off. Repeat this cycle for 30-40 minutes. If you’re not a hard case “Stifmeister” then this should be enough to save you from public humiliation later this evening, when you are performing. It’s important to NOT play the didgeridoo with your normal embouchure. In other words, do not try to buzz into the didgeridoo because that would defeat the whole purpose, which is to get a concentrated, relaxed and massaging vibration in the center of your chops. It is those massaging vibrations that does wonders for loosening up your chops. Can I use a Tuba Mouthpiece Instead? …if you already have a tuba mouthpiece at home then, by all means, take advantage of it and use it. It will certainly help to some degree but if you really want to have an effective weapon for killing the “stiffness demon” once and for all, get your self a didgeridoo. 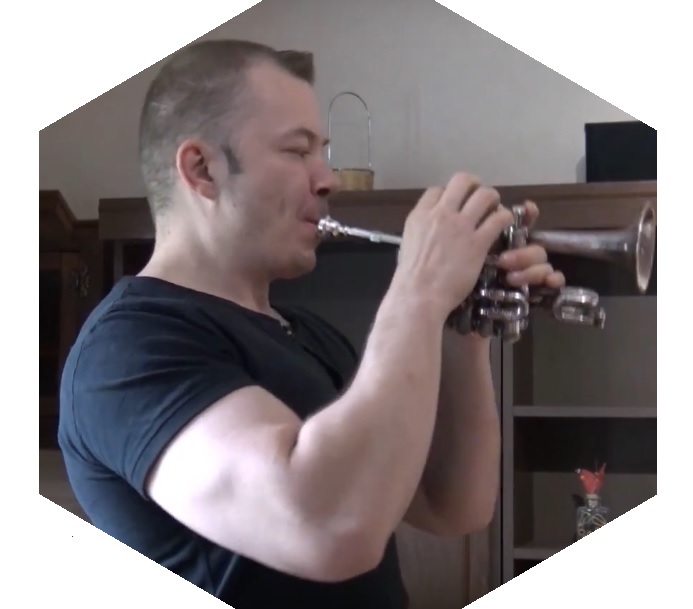 The chops are stiff when playing trumpet because the small micro muscle fibers have been abused and some of them may be a bit torn and need to heal. Or to put it in a more accurate way, they may already be recovered but the healed scars in the fibers have made the tiny muscles, literally, a bit shorter. Shorter = more tesnse and stiff. …but, for now, let’s get to the stretching of those short and stiff muscles…. Open your mouth as wide as it gets, keep it wide open while trying to touch the bottom lip with your upper lip. Even if you can’t get them to touch, because of the wide open mouth, you will still feel a good stretch, especially in the upper lip. Be a bit careful though and if you feel pain then back of a tiny bit and try using a bit less “force”. Keep doing this for a couple of minutes, rest for a while and then do it once more. Watching a lot of Netflix at night? Well, it’s a perfect time to use your fingers and do a gentle stretch session for your lips. Slowly stretch your lips in the opposite direction they are working towards when you play the trumpet. For example the center of the lips should be moving a tiny bit forward towards the center of the aperture when you ascend and play the trumpet…. ….so, when stretching your lips with your fingers you stretch them back the other way, like a smile. Smiling should never be done when playing. When playing we should move everything towards the center but now, as I said, when stretching you stretch in the opposite direction. Always stretch in the opposite direction of what the working muscle is doing, that goes for the gym as well. You should be a bit careful with this and if it’s your first time then don’t do too much of it your first try. Try it out for 3-5 minutes and see how your chops feels the next day. If they are just a little better then try it for a bit longer the next evening and see how they respond the day after that. This way you will learn what your optimal stretch routine is going to look like and you will quickly notice that stretched muscles also recover a lot faster form yesterday’s beating they got. Now I have to say that this tip does not always work, especially if the lips are swollen and really stiff but it can work some of the time and it’s certainly worth giving a try. If done correctly, pedal notes also loosens up the chops. The problem is that sometimes we are just so tense that we can’t even play pedal notes. The trick is to be patient and slowly work your way down. This can take some time and there have been many occasions when I spent more than 40 minutes on this, until I get the low notes to speak. I recommend playing descending scales with tonguing eight notes. …eventually your lips should start to become more responsive and you’ll be able to get down there. If you try this and it seem impossible, even after 30-40 minutes, then your really should consider investing in that didgeridoo. Why does it happen in first place? Some people are lucky and almost never suffer from unresponsive chops, no matter what their playing schedule look like, while others get stiff even if they do almost everything right. The world is not a fair place and the trumpet world is certainly no different. That said, generally there are a few things that we should be careful with. Things that tend to make your lips feel like their made out of plastic. How do we prevent stiffness from forming? How to warm up on the trumpet. In that article I also share my personal warm up routine as well as other good warm up exercises. The warm down: When it comes to stiffness and problems with unresponsive chops then the warm down, or cool down, is even more important than the warm up. Never just put your horn down and go to bed after you have been playing something physically demanding. You won’t find a single sprinter who just goes home after training demanding sprints, without having done some light jogging and some stretching after his workout. They do this to prevent them from being stiff like an iron pole the next couple of days…. …do you think the elite Olympic competitor know a thing or two about muscles and recovery? Yeah, so why not learn a thing or two from them. The diet: Trying out different diets can be a good learning experience and a healthy thing to do and lord knows I’m very often experimenting with things like that. And that is also why I know that this is not something one should be messing around with just a few days prior to an important gig. The hydration: and the hydration part is, of course, also very important. Not only because our brain and body functions best when well hydrated but also because of what I just wrote about how the soft part of our lips have a high water content. Try to implement these tips and see if you notice any improvements. My guess is that you will. If nothing seem to be working then perhaps you should consider visiting your doctor to find out if you are allergic to something in your diet or something in your environment. Most allergies are accompanied by swelling in some form and the lips will often get a taste of this. Keep practising and I wish you the best of luck getting rid of your unresponsive chops! P.S. 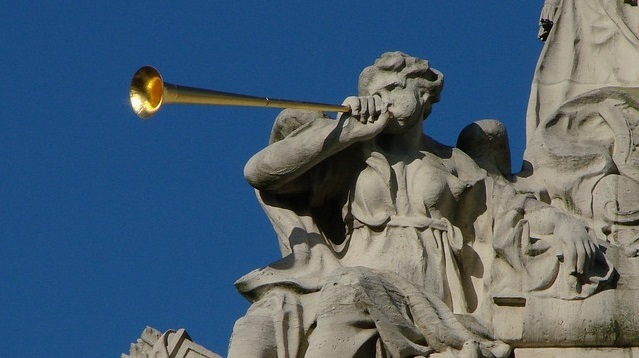 Do you have, or have you had, any problems with unresponsive chops in your trumpet playing? If so, how bad was it and were you able to solve it? Please leave a few comments in the comment section below. I would love to hear from you.